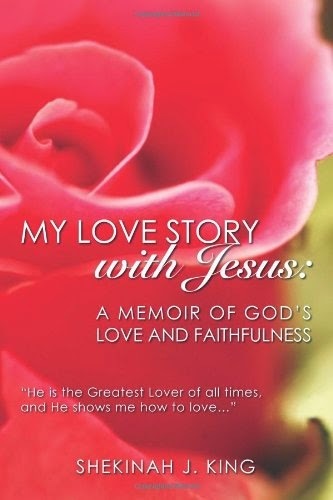 My Love Story with Jesus: a Memoir of God’s Love and Faithfulness by Shekinah J. King captivates readers with a memoir of her personal love story with her Creator and King, Jesus Christ. Unfolding the rich love He has for all of us, the author proclaims, “He is the Greatest Lover of all Times and He shows me How to Love…” with reverberating enthusiasm to reveal to readers His unfathomable love. In this book one will find a compilation of love parables, poems and photos that inspire one to intimacy with Jesus Christ. The author openly shares her heart and the solution she found for all of life’s troubles – Jesus Christ. With a Doctor of Ministry (D.Min. ), Bachelor of Ministry (B.Min.) and a Master of Christian Leadership (MCL), Shekinah J. King, is an author and a writer of psalms. As a multi-published author, her mission is to lead others into the unfailing love of Christ. Her books are recommended for inspiration, intimacy, insight, Bible study, prayer, spiritual growth and evangelistic outreach. Sharing the compassion of the greatest love she has ever found, she wants others to know of God’s grace, love and enduring faithfulness. Her passion runs deep, as she gives her vibrant testimony of the true love she has found in Jesus Christ. From her wilderness experiences and encounters with the lover of her soul, this book is a captivating, thought-provoking and inspiring memoir. She encourages all that they have their own story to share, as they come to know the eternal life in King Jesus.